Captain G.W. 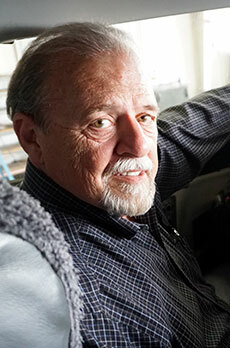 "Bo" Corby is a 1969 graduate of Parks College of Aeronautical Technology of St. Louis University, St. Louis, MO. In addition to his airline career, Captain Corby founded and operated Simulator Training, Inc., an FAR 142 Training Center operating its own B-727, B-737 and Lockheed Electra L-188 Full Flight Simulators, providing training services to airlines, individuals and governments, worldwide. During the same period, Captain Corby owned and operated Noland Decoto Flying Service in Yakima WA, a full service Fixed Base Operation, providing the local community with aircraft charter services and flight training under FAR 61 and 141.He currently resides in Seattle, Washington and works as a Corporate Aviation Department Manager and pilot for a Seattle family. In May of 2013, Captain Corby was awarded the Wright Brothers Master Pilot Award by the FAA Safety Team. The award recognizes those pilots who have demonstrated professionalism, skill and aviation expertise by maintaining safe operations for 50 or more years.